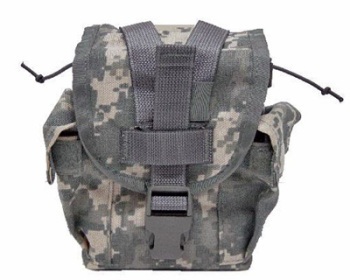 New ACU Canteen/General Purpose Pouch! Pouch can be used to hold 1 stripped down MRE, a 1 Qt. Canteen, 5 M16 or M4 magazines, or ANPVS 7 Goggles, or any number of other items.